I love Easter, it means spring, colors and food! Let your home smell like freshly baked hot cross buns. You don’t have much time? Make this keep-it-simple ice cream cake in 15 minutes only and pop it in the freezer overnight. Enjoy the compliments next day! 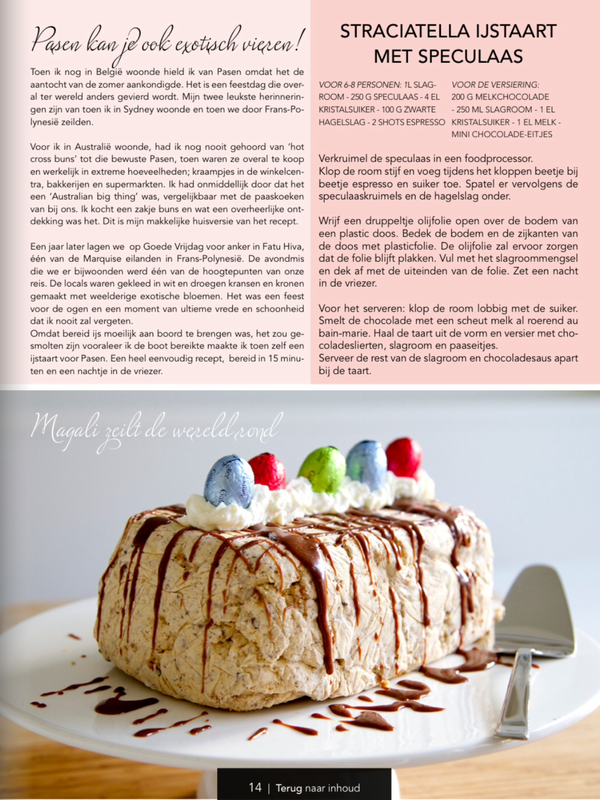 This is the article that was published in the 5 Sens magazine (in Dutch). © Magali Schockaert and Gourmetonboard.com, 2016. Unauthorized use and/or duplication of this material without express and written permission from this blog’s author and/or owner is strictly prohibited. Excerpts and links may be used, provided that full and clear credit is given to Magali Schockaert and Gourmetonboard.com with appropriate and specific direction to the original content. 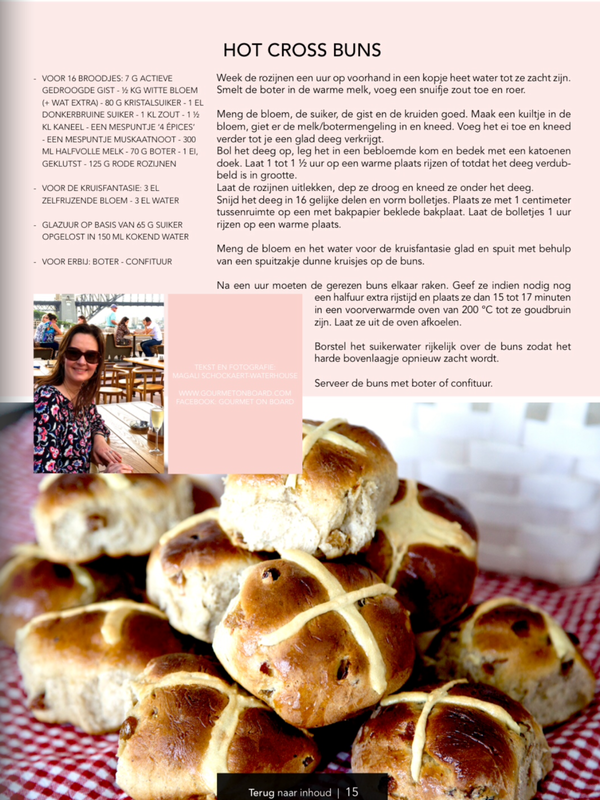 Enjoy my recipes published in the ‘5 Sens’ magazine!